The LifeStraw Carbon Capsule Replacement Filter reduces chlorine, bad taste and odor, organic chemical matter and pesticides. 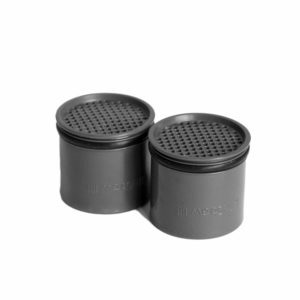 A quick replacement filter for your LifeStraw Steel or LifeStraw Go. Simply unscrew the bottom cap of the LifeStraw Steel and gently remove the carbon capsule. Insert the new carbon capsule into bottom opening of the straw and and press firmly until it's secured. Discard the used one. Unscrew the filter from the lid and gently remove the carbon capsule. The capsule will be at the top of the filter between the HFM and the lid. Insert the new LifeStraw carbon capsule into the straw and press firmly until it's secured. Discard the used one.